Enjoy a delicious bbq meal while soaking up Niseko's wondeful sights! We take care of everything for you! There is no need to worry about setting up the bbq and cleaning the set afterward. *Please reserve BBQ rental at least 48 hours in advance. *In order to avoid disturbing the quiet neighborhood, it is suggested to hold the BBQ before 20:30. Sunset is at 6 pm after mid-August. If LED light is unnecessary for your BBQ, Please inform us at least 48 hours in advance. 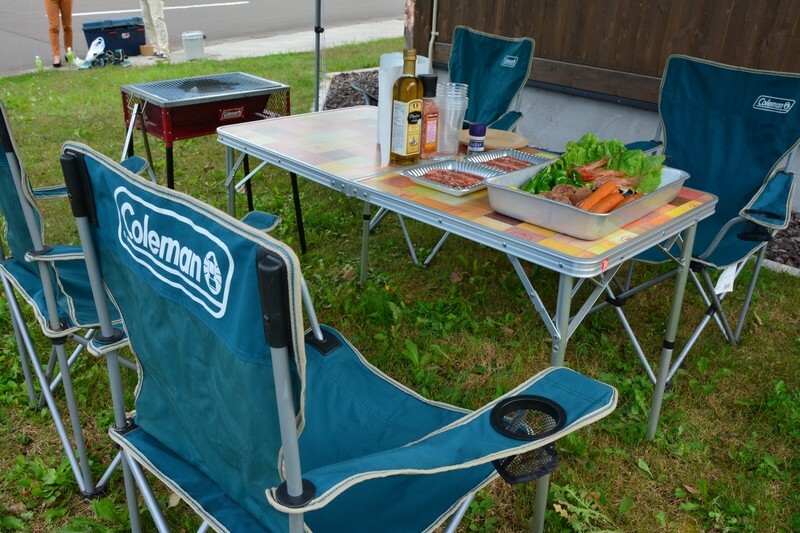 1,000 yen will be reduced from BBQ set price. Enjoy fresh Japanese beer with your BBQ meal! Draft beer server can be arranged with advanced notice.